Berks Boardgamers' Game Days are a full day of board gaming. We play all sorts of strategy games but also some abstract games, family games, card games and even some of the older Avalon Hill games. We play games such as Settlers of Catan, Puerto Rico, War of the Ring, Circus Maximus, Euphrat & Tigris, Acquire, Pinochle, Carcassonne, Apples to Apples, Munchkin, Titan, Caylus, Hammer of the Scots, Can't Stop, Age of Steam, Crokinole, and many more. Game Days are scheduled every 2-3 months. However, we have not had a place to meet at for quite some time now, so game days are on hold until we get that settled. What: Games such as Settlers of Catan, Ticket to Ride, Blokus, Crokinole, Pick Picnic, Gulo Gulo, Pirate's Cove, Diamant, and many others (they are mostly what is referred to as light-medium weight euro games). Who: Everyone is invited and welcome; gamers & non-gamers, kids & adults. Bring the whole family. Game nights are geared towards adults though I do bring a few kid's games (8+). We always try to play a longer game starting at 10am, such as Titan, Railroad Tycoon, Circus Maximus, Die Macher, Civilization, Struggle of Empires, etc. So come early if you'd like to play our selected game. If not, you'll still find a few gamers ready to play something else. 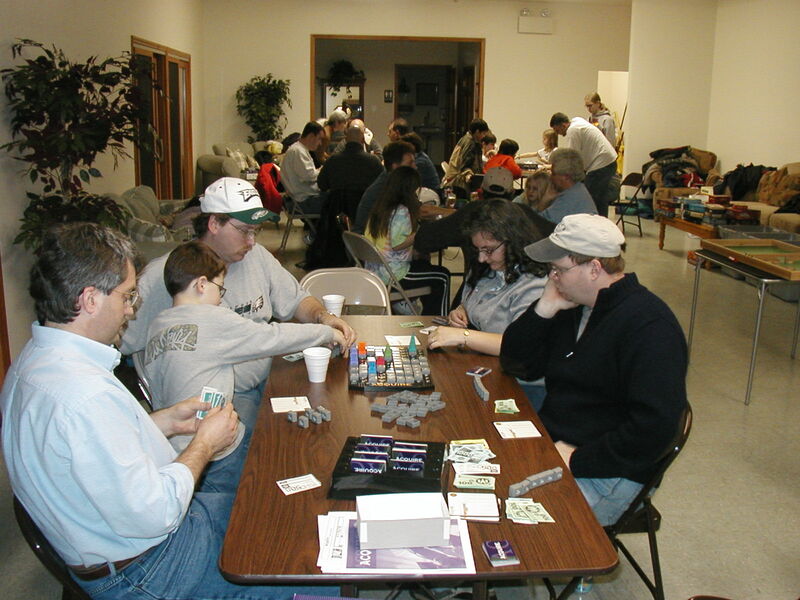 Info regarding Berks Boardgamers' Game Days is listed in numerous places on other sites online and the in the local paper so that we can find other boardgamers in the area and maybe even bring in some new people. Getting the word out is difficult though, so tell your friends about our Game Day, it's the best way to find more gamers.